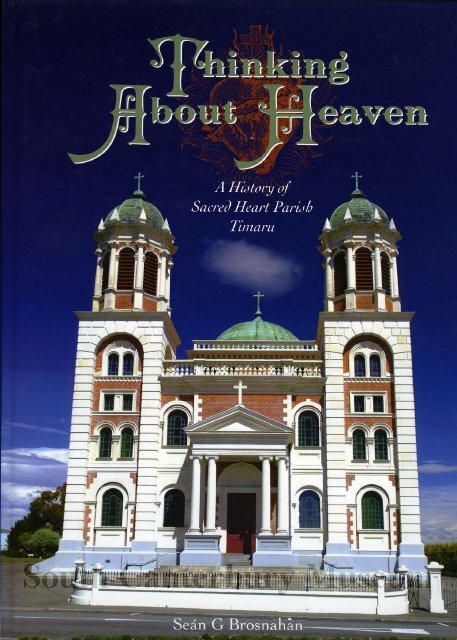 I wrote this history of my home parish in Timaru to mark the centennial of its magnificent basilica in 2011. I tried to incorporate lots of deeper background on Irish migration, sectarianism and so on – garnered from my academic work – but present it in a popular style that would be accessible to a wide audience. The parish book committee did a fantastic job of promoting the book to local parishioners and the entire print run of 500 sold out within a month. They offered me the option of arranging a second print on my own but I opted not to. I was quite chuffed to have a ‘sell-out’ in such short order. Unfortunately this did limit the book’s impact beyond Timaru and lots of people missed out on buying a copy. So I am making a PDF of the book available here to make it accessible to those who can’t get a copy from a library. I am trying to trace my ancestors MICHAEL and Margaret Collins who came to Timaru with 4 children around 1870’s. Hi there Gail. It’s likely that the Collins were assisted immigrants in that period and there are good records for Canterbury assisted migration at that time. I suggest you look at the New Zealand National Archives website which has a good guide to the sources and how to access them online. For their life in South Canterbury, suggest the museum in Timaru (South Canterbury Museum) which has a very good research centre attached. Thanks for your enthusiasm for the book Ann but I’m afraid I have no way of providing you with a hard-copy – that’s why I made the online version available. The entire print run sold out within a month of the parish jubilee, thanks to a very effective promotional effort by the Sacred Heart book committee. There must be copies becoming available second-hand by now and these will most likely be found in Timaru. I can’t find any online. Best of luck with your hunt.